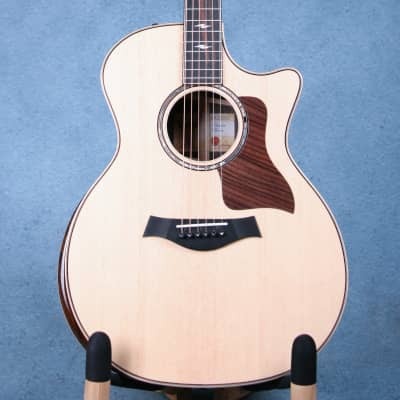 The TAYLOR 814C had a single Floretine cut-away grand auditorium body shape. The top was solid spruce with three ply binding and a tortoise-shell style scratch plate and an abalone rosette around the circular soundhole. The back and sides were rosewood matching the rosewood veneer on the bound headstock. The 20 fret mahogany neck joins the body at the 14th fret and has snowflake inlays in its ebony fingerboard. 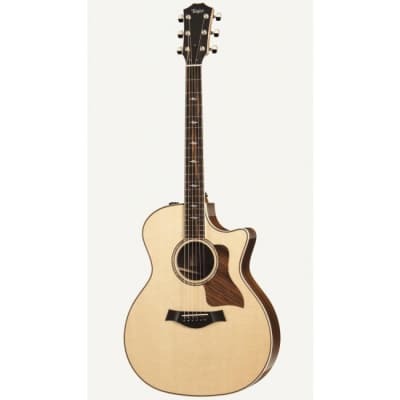 Take the TAYLOR 814C price survey. ^ Actually they were first made in 1996. I have one and the fret board is ebony. 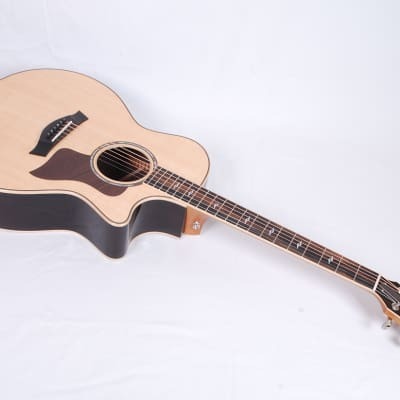 Buy TAYLOR 814C acoustic guitars.